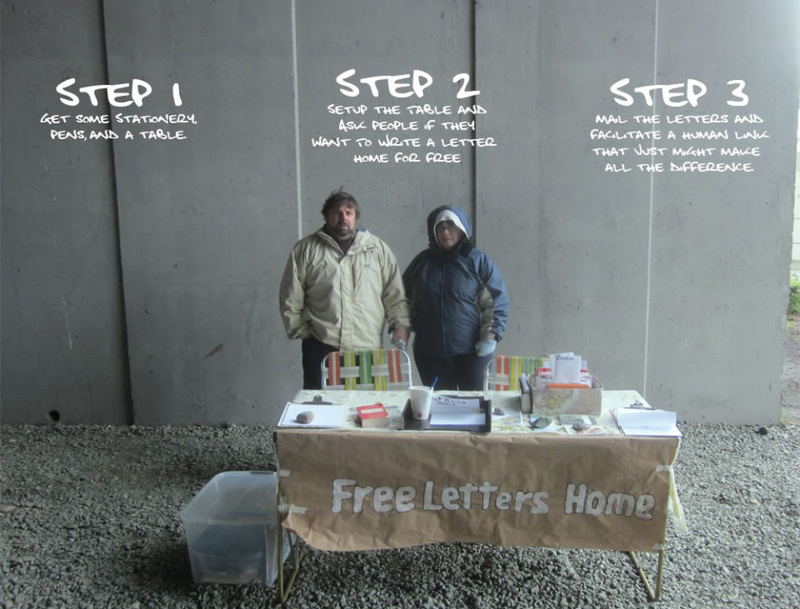 Do you know of a location that could use FreeLettersHome™ to reconnect families ? 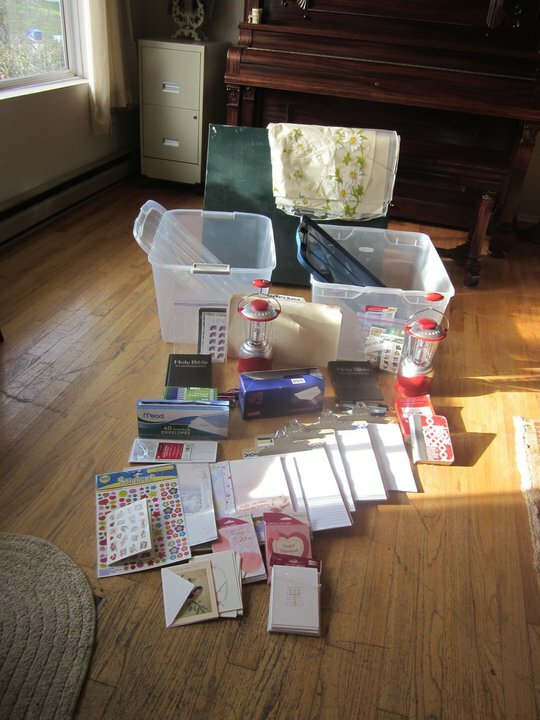 We can send you everything you need to set up a FreeLettersHome™ station. Or contact us today for more information . Hey! I think this is an amazing outreach. I have a daughter who regularly organizes free spaghetti meals for the homeless on Waikiki beach. She is a school teacher in Oahu. Her motivation is to reach people with the Gospel and show God’s love in action by providing a meal. Is it acceptable for me to also give out Gospel tracts to the people who would use the mailing? I don’t want to compromise your intent, but I would love to use this as an opportunity to reach others on a spiritual level as well. Kathy, Did you get our email weeks ago reponding to your question? Please send information on setting up a location in Boise, Idaho. I’m part of a small group making connections with the homeless and this seems like a great way to bless them! Thanks for your creative idea! Hi I read your story and must say what a great idea! I work for the usps and know how much of a difference a letter can make. I would like to start up a service in Rockford Il thanks for what you do! I also read about this in Guideposts and would like to have some info. on how to get started. I would love to do something like this in Jackson, MS. It was nice talking with you on the phone. Good luck with everything. Wonderful idea! Please send me some information on how to get started. Thank you. What an amazing idea, saw a letter about this in a copy of Guidepost. I would love to get involved. I live in North Carolina. Please send me information on how. Many thanks for being so thoughtful and giving. What a wondwrful program!! Please send me information to get started.